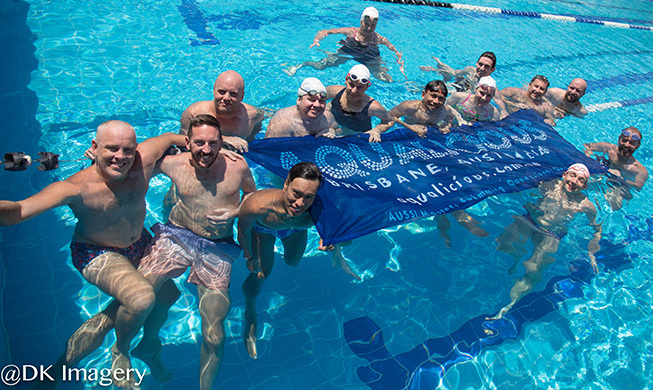 Aqualicious is Brisbane’s Masters swim team open to friends and members of the gay, lesbian, bisexual, and transgender community. We welcome new members of all age and experience levels to our inclusive environment. Please note our session times are now 15 minutes later – see here for details. We welcome swimmers ranging from social to serious. If you want to see what Aqualicious is all about, try a few sessions.